So, you’ve got your infield all groomed and you are ready to bring out the hose to give the infield skin a nice big drink. You hook the hose up to your quick-coupler, screw on the nozzle and proceed to turn the quick-coupler on. You stroll over to the infield skin edge with the nozzle at the ready. You twist the nozzle to activate the flow of water and it comes on. But, some warning track or infield topdressing material or even grass clippings got into the hose. 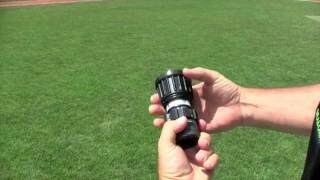 They have now been forced up into the nozzle, which negatively impacts your nozzle’s spray pattern as you attempt to lay down the water that is so crucial for your infield skin. How do you avoid this problem? It’s simple — flush your hose. 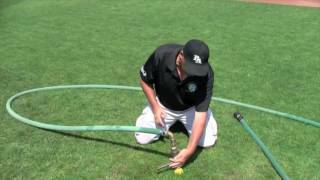 Checkout this video tip from Groundskeeper University (module 105 Moisture Management) that will help you prevent this from occurring in most instances. Just one good flush. That’s all it takes.